There are numerous differences between the Anglo-American style of democracy and the German way of organizing legislature, but one of the most obvious ones is the number of relevant parties. Now, it’s of course not a valid method to put the British and the American model on the same end of the range of democratic systems, but for the sake of argument, let’s do it anyway. Aside from the very different democratic institutions, both systems share the presence of two major parties, with all other existing parties being virtually nonessential. From afar it’s quite easy to forget that there are green parties in England or the United States, for example. Germany, however, has a tradition of a high number of visible and audible parties that struggle for election into the parliament, with usually about four to six parties ending up there. Even though the past decades saw only a few changes regarding who is making up the house, there still were changes. While there are thousands of political parties throughout Germany and some of them even make it to local or federal state governments and parliaments, let us take a look at only the most “important” ones – the parties that shaped the history of the Federal Republic of Germany (especially after the Reunification in 1990). The social democrats are the oldest, still active major political party in Germany. It even predates the first German Republic, the Weimarer Republik, and recently celebrated its 125th anniversary. Even though our current government consists of a so-called “great coalition” of the SPD and the CDU, the social democrats have been the biggest rivals of the CDU since its foundation in 1945. Famous German chancellors such as Helmut Schmidt and Willy Brandt have risen from the Ranks of the party. But it seems as if the glorious times of the SPD are behind the party. Even though it is part of various Federal State governments and the current German one as well, it hasn’t been the leading part of a national government in quite a while and has been continuously losing votes on all fronts for years. The Christian Democrats are Angela Merkel’s party. Before Merkel, who could run for her fourth successive term in 2017, the last CDU-chancellor was Helmut Kohl, who served three consecutive terms. One could safely assume, that the CDU was the steering power in German politics since before the Reunification. While the SPD could be the German equivalent of the US-Democrats, the CDU would serve as our version of the Republicans. Therefore the CDU is a conservative party, though one has to say that both CDU and SPD moved towards each other in recent years, making it more difficult for voters to spot the differences between the two. 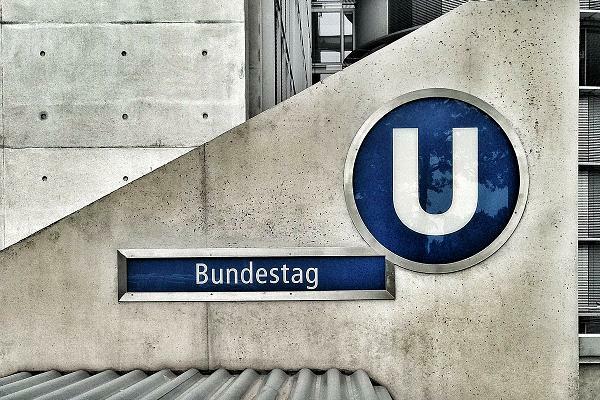 While the CDU, successor to the Zentrum-party which the National Socialists in the Third Reich forbade, has been the most successful party for a while now, the last couple of years saw its influence on a Federal State level dwindle. Today, there is only one Federal CDU-Government left in Germany. When Green Party delegates were first elected into the German parliament in 1983, they caused quite an upheaval. Everything from their looks to their agendas was troublesome to the traditional inhabitants of the sacred halls of German politics. The party, which is in itself a fusion of two green parties, was a direct result of growing anti-nuclear and anti-pollution protest movements in the 1980’s as well as social movements from the 1970’s. While the party developed into a rather social and left-wing party, it also drew more conservative members in its earlier days. Starting out as a protest party, Bündnis 90/Die Grünen became the go-to junior partner for the SPD. Over the course of the last two decades, the party underwent some broad changes and distanced itself from its earlier incarnations. Today the green party even runs the government in Baden-Württemberg, a traditionally conservative state. Though, one has to say that this green head of state is probably more conservative than some CDU-members.